The Goodwill Donation Center at 644 South Sutton Road in Streamwood, IL will be closing on January 31, 2018. 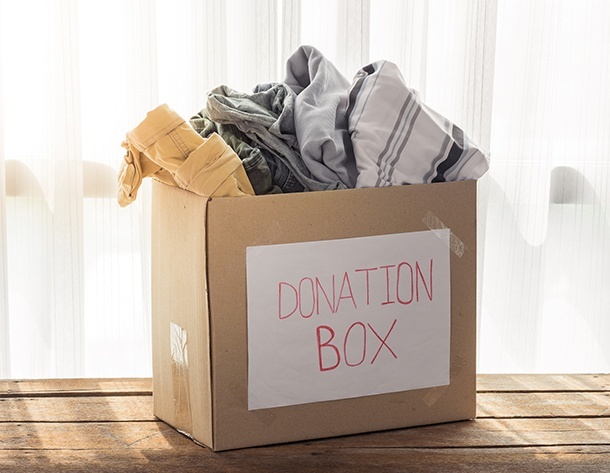 We look forward to serving you at our nearest Goodwill Store & Donation Centers in Hoffman Estates or Bartlett! Work for Goodwill in Pewaukee! Our Goodwill Store & Donation Center in Pewaukee is hiring team members! Click the image above to learn more and apply online now! Get Set for a Super Bowl of Savings in Willowbrook! Get set for the Super Bowl of Savings on Saturday, January 27 from 2–4 p.m. at the Goodwill Store & Donation Center in Willowbrook! 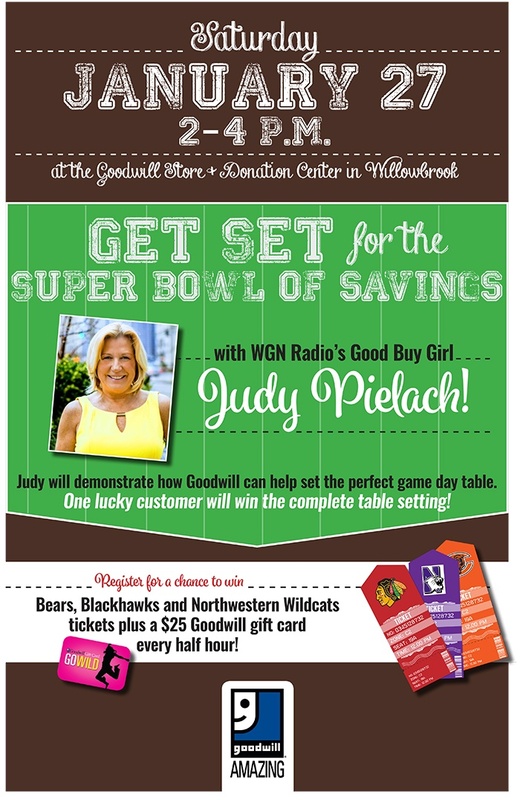 WGN Radio’s Good Buy Girl Judy Pielach will show you how to create the perfect game day table and one lucky customer will win it! Save more when you spend more! That's right, on the 15th of every month Club Goodwill REwards members will save more when you spend more! Spend $15, save 15%. Spend $20, save 20%. Spend $25 or more, save 25% on your total purchase!